Rabbi Raymond Apple served for 32 years as the chief minister of the Great Synagogue, Sydney, Australia’s oldest and most prestigious congregation. 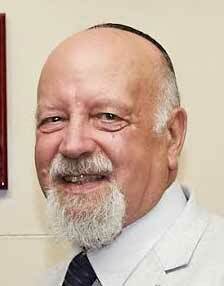 He was Australia’s highest profile rabbi and held many public roles. He is now retired and lives in Jerusalem. He answered the question…and others. A. The parking facility is an investment by the storekeeper who expects returns in the form of extra business. Outsiders who park there are guilty of stealing, either from the storekeeper or the store customers or both. Research would be needed, however, in order to quantify the dollars-and-cents value of what has been appropriated by others. At the very least the outsider has saved him/herself the cost of an on-street meter, if such could be found in that district. Rabbi YP Bodner writes in “Halachos of Other People’s Money” (published by Feldheim), “If a private parking lot has a sign restricting parking to customers, residents, employees, etc., it is prohibited for others to park there. If it is self-evident that the owner needs the lot for his customers it is prohibited to park there, even without a sign”. He has a footnote, “I heard from Rav Elyashiv that as long as the owners care about their parking lot, (a person who parks there without permission) breaks the law against stealing”. From the moral point of view, it seems that there has also been a transgression of the law of “hassagat g’vul”, trespassing on another’s territory (Deut. 19:14). The sages call such a transgressor a rasha. Rabbinic literature goes into detail about not intruding on other people’s rights, especially when their professional or business territory. There is a term, “ma’arufia” (possibly from Arabic, possibly from French) which was largely concerned with rights of trading with gentiles but was generally extended to cover the right to practise a craft or trade. Q. Why do a couple need a rabbi and ceremony in order to be married? Isn’t it enough to declare their vows to each other? A. Maimonides says (Hil’chot Ishut 1:1) that before the Torah was given, a man and a woman saw each other, fancied one another, began to cohabit and that was that. Thereafter a ceremony in the presence of witnesses was required, and there are long halachic discussions about the details. The importance of the ceremony is because marriage is not only a private commitment between the parties but the creation of a home and, hopefully, a family, and the ceremony shows that the marriage, the home and the family are part of the community. Q. Why were my son’s Bar-Mitzvah tefillin so expensive? A. Like a mezuzah or Sefer Torah, tefillin are hand-written with a quill pen on parchment by a pious scribe, and carefully inserted in specially made leather boxes. It takes time and expertise to prepare tefillin and this is reflected in the price. But since they provide a life-time back-to-base spiritual security system they are an invaluable investment. The head and hand tefillin each comprise four Biblical passages (Ex. 13:1-10 and 13:11-16, Deut. 6:4-9 and 11:13-20); in the head tefillin they are written on four separate pieces of parchment, each encased in a separate compartment; in the hand tefillin they are all on one piece of parchment. Their message is that there is one supreme God who has commanded us to live by His will and to sanctify heart, soul and might to His service. Dedication of the mind is represented by placing them on the forehead, dedication of the heart by placing them on the arm facing the heart, and dedication of our bodily energies by binding them on the arm and hand. Parallel to the synagogue inscription, “Know before Whom you stand”, tefillin tell us, “Know before Whom you think, feel, act and live”. This principle should be even stronger in that case where a person without a disability uses a disability parking bay, for their own convenience. In this case, not only is the illegal Parker stealing from a person with a disability, they are also likely preventing them from getting out and about at all. For many people who use mobility equipment, the extra wise space of a disability parking bay is necessary to get out of the car.